The crash has so far puzzled experts, who without data from the Boeing 737 MAX 8 have only been able to speculate on what caused the plane to go down 13 minutes after takeoff, crashing into the sea with such speed and force that no victim has been found intact. 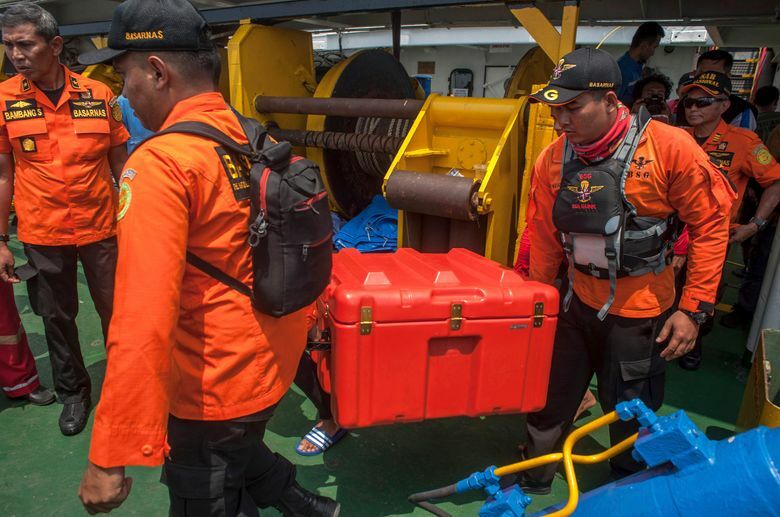 JAKARTA, Indonesia – Divers recovered a flight recorder Thursday from the wreckage of a Lion Air jet in the Java Sea, a crucial discovery that may help investigators determine how a new plane fell out of clear skies in one of the worst commercial air disasters in recent years. 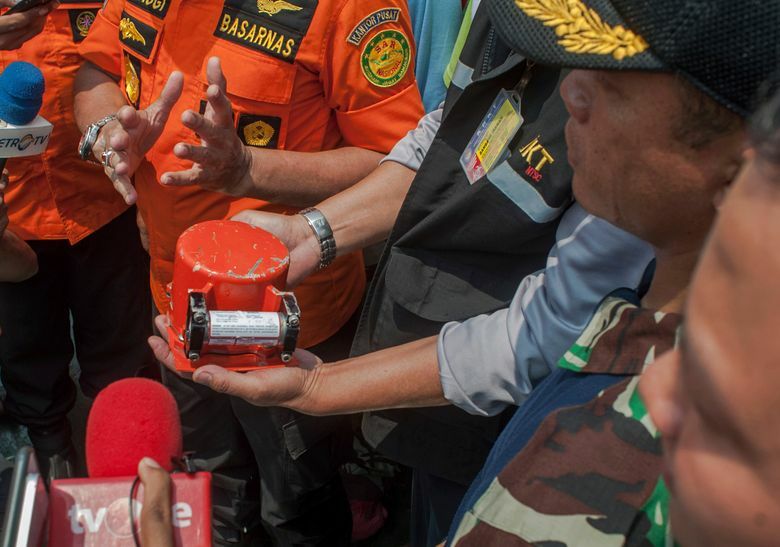 The bright orange flight recorder was found 100 feet underwater close to the coast of Jakarta. An airplane has two recorders: one that captures flight data such as readings from electronic systems, and another that records the pilot and co-pilot in the cockpit. 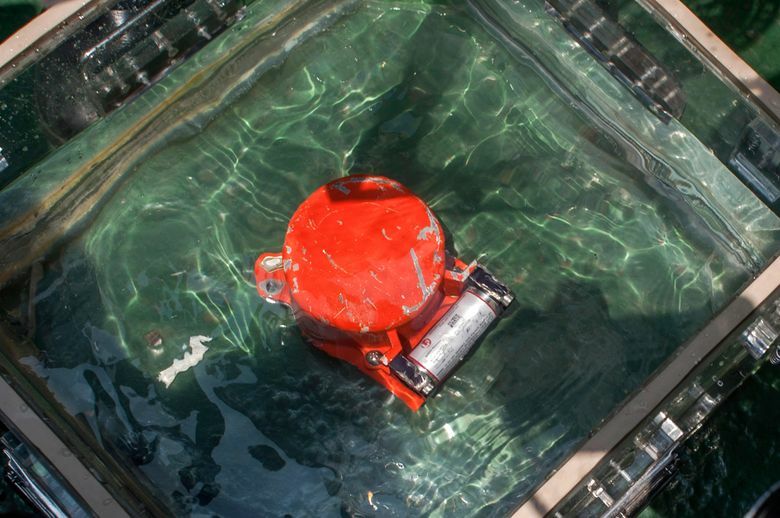 Investigators initially said the device found was likely the flight data recorder but noted late Thursday they were unclear which of the two was in hand. The crash Monday of Boeing’s popular 737 Max 8 has so far puzzled experts. The twin-engine jet plunged into the sea just 13 minutes after takeoff, hitting the water with such speed and force that no victim has been found alive. Finding the “black box” recorders are considered crucial to piece together the last moments of the ill-fated flight. 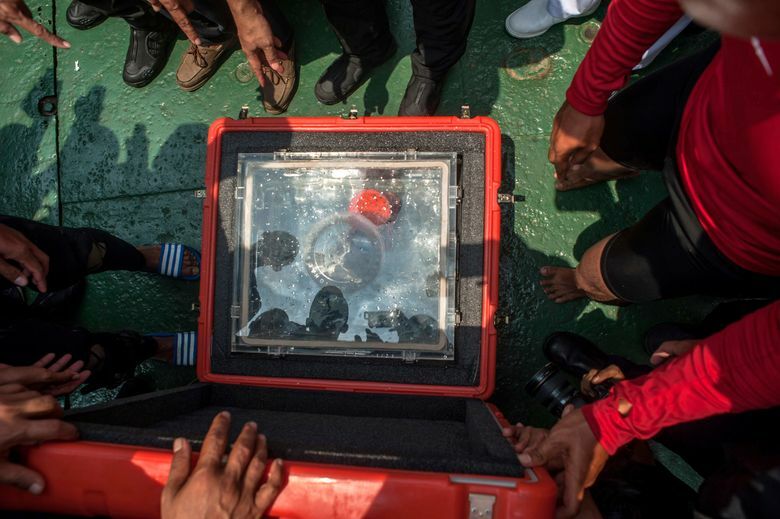 If the flight data recorder were the one found, it would probably be brought to the National Transportation Safety Committee laboratory, where investigators would begin to look through the information, said Alvin Lie, a former member of the Indonesian parliament and an aviation analyst. “Analysis can be done, but it is not complete without the CVR,” he said, referring to the cockpit voice recorder, which still has not been located. Lion Air Flight 610 took off from Jakarta’s Soekarno-Hatta International Airport for the mining region of Pangkal Pinang early Monday. A few minutes into the flight, the pilot asked permission to return to the airport, a request that was granted. Radar showed the aircraft climbed and descended erratically, and its speed increased dramatically before it lost contact with air traffic controllers. 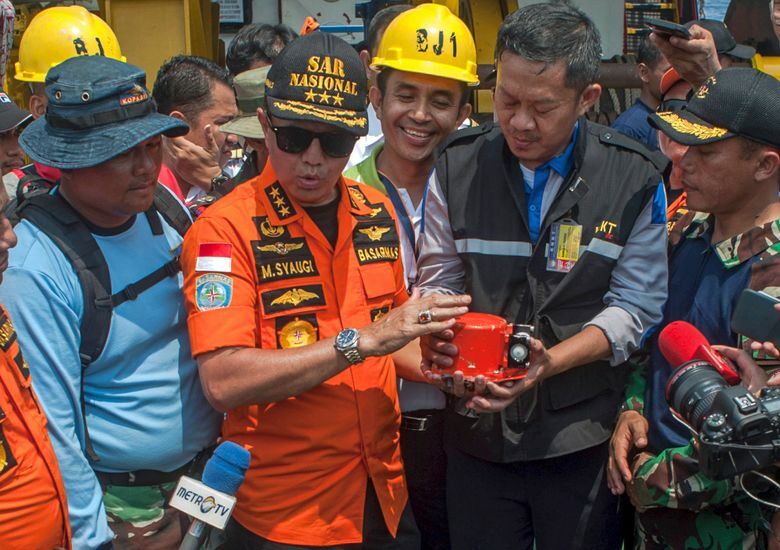 Budi Karya Sumadi, Indonesia’s transportation minister, said 10 Boeing 737 Max 8 planes operated by Lion Air and one operated by Garuda, Indonesia’s national airline, have been grounded and are being inspected and evaluated by the transportation safety committee. The committee will discuss the details of its evaluation with Boeing, he added, which has sent a team of engineers to Jakarta. Indonesia is Southeast Asia’s biggest aviation market, according to the Centre for Aviation, a travel market research company, bolstered by a rising middle class and the necessity of air travel to navigate the large archipelago. But the country has suffered from safety oversights in the past. Its airlines were banned from flying to the United States in 2007 because they were “deficient in one or more areas, such as technical expertise, trained personnel, record-keeping, or inspection procedures,” the Federal Aviation Administration said. The FAA lifted the ban in 2016 after the country’s airlines showed signs of improvement. The European Union similarly barred Indonesian carriers from flying into European airspace from 2007 until June. Mahtani reported from Hong Kong. The Washington Post’s Timothy McLaughlin in Hong Kong contributed to this report.